The solutions we offer are each tailored to your needs, pulling from a vast number of resources and services. Making your business look good is our job. We strive to educate our clients on which print process is best for a particular project and present you with options based on your budget and timeline. By utilizing both offset and digital printing technologies, we can accommodate jobs of all sizes and meet any deadline. Rush service available, sometimes even same day! But you have to say “please”. Go BIG or go home! Our photo quality inkjet printers can output prints up to 48” wide by whatever length you need! We print on a wide variety of materials, such as poster paper, vinyl, canvas, coroplast and PVC! We can also mount your prints on foam board, gator board, cintra and more! 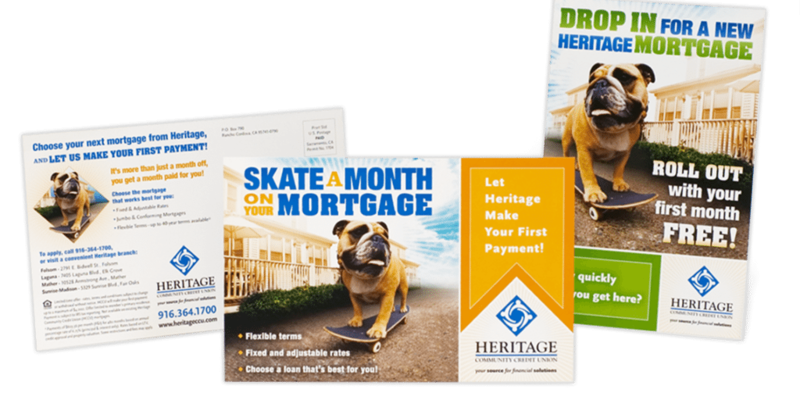 Direct mail and bulk mailings are our specialty. We offer a wide variety of mailing services. We’ll make the process simple and painless for you. If you don’t have a mailing permit, you can use ours for FREE! Perfect for fundraising and political mailings. Blanket entire towns or utilize a targeted mailing list. The chose is yours. An easy, cost-­‐effective way to reach potential customers. Market to the exact areas you want to target! EDDM allows you to mail pieces up to 9” x 12” all for the same low postage rate of .19 per piece. You have the option of mailing to both residential and business addresses or strictly residents. Since EDDM doesn’t require mailing lists or permits, you’ll save time and money! Nothing captures a mail recipient’s attention more than a personalized message. Create a more impactful piece and boost response rates with Variable Data Printing. Inkjet and Laser Addressing, Wafer Sealing, Inserting, Envelope Sealing, Hand Fulfillment and more. Targeted Business and Consumer Lists to match your specific needs. Let us know exactly who you want to reach and we’ll create the perfect list for you. Yes, your 13-year-old nephew is very talented, but leave the graphic design to the professionals. Let our talented team of designers bring your vision to life. We offer custom design services or we can recreate a previous layout or design. We will work with you throughout the design process to make certain that you are 100% satisfied. We offer a wide range of copying and digital printing services. Our high-speed B&W and Color copiers and printers can output up to 100 pages per minute. We’ll make quick work of even your largest copy project. We can go “old school” and copy your paper originals or output directly from your digital files. We also offer many different complimentary binding methods, such as GBC, Wire-O, saddle stitching and more.